From trade shows, expo’s, conferences to in store point of purchase, retractable banners are lightweight and portable and a sure way to get your product, service or message the recognition it deserves. 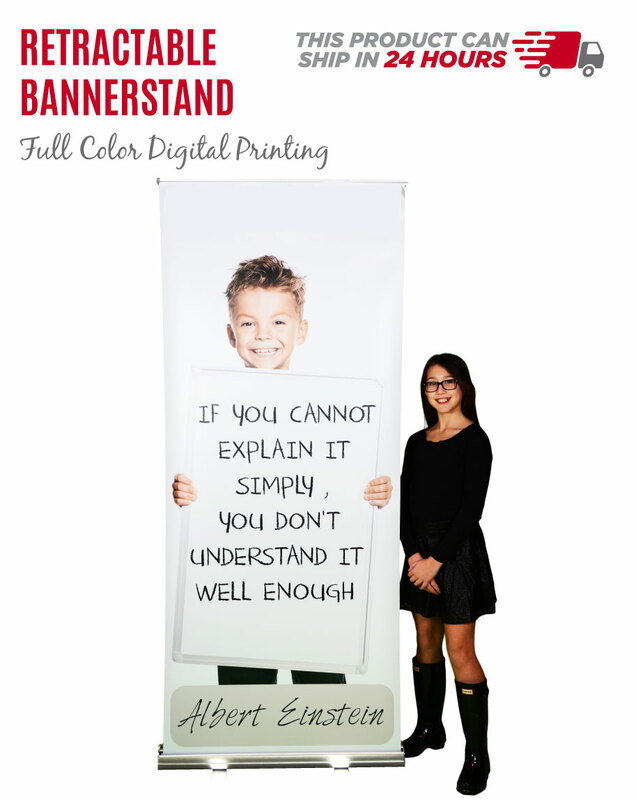 Our retractable banners come with everything you need in a black carry case. Included is a full color digital graphic printed on a non-curl vinyl or 9 oz premium Polyester fabric that is sure to make your graphics POP.